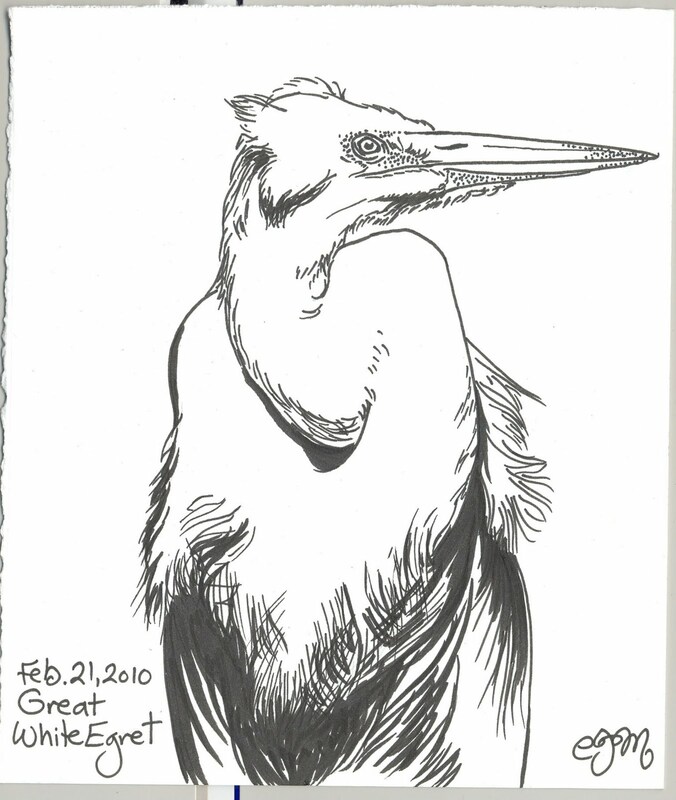 Egrets are one of my favorite birds. Their too-long necks and legs make them simultaneously graceful and awkward. I mean, look at that neck, coiled like a snake – it’s ridiculous. It reminds me of that moment in Alice in Wonderland where Alice eats a bit of mushroom, and, instead of growing all at once (like she did with the bottle), only her neck grows. Long and snakey, she winds up with her head in the trees scaring a family of birds. That’s two Alice in Wonderland posts in a row. I sense a thread.